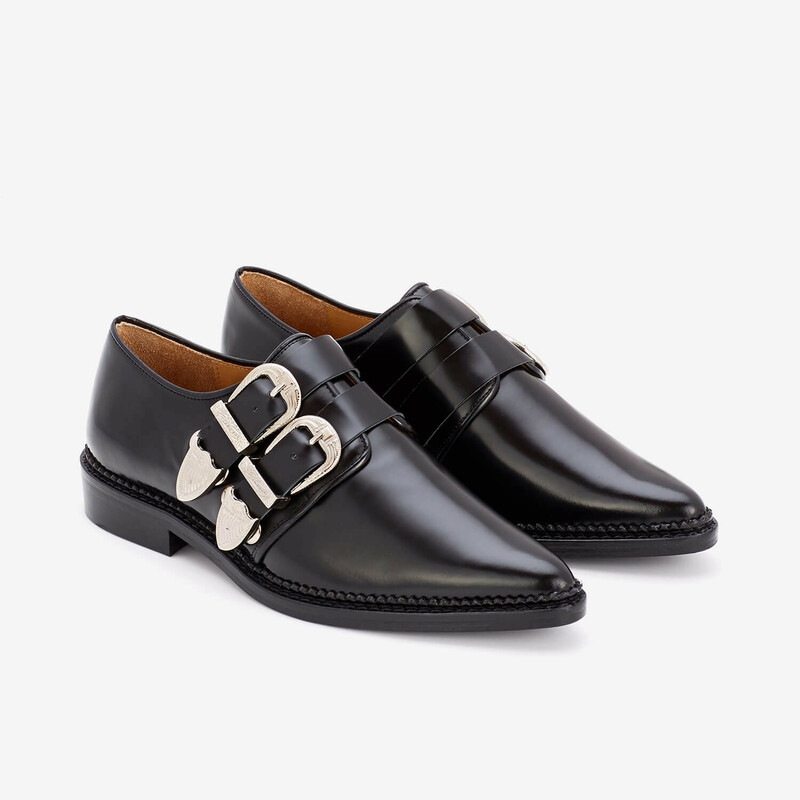 Twin buckle shoe from Toga Pulla Archives is made from polished leather. Rough tonal leather sole is combined with sharp pointed toe. Unexpected and fresh look is created by mixing inspiration from british subcultures and underground shoes with western details that are a signature part of Toga Pulla style. Adjustable pin-buckle straps at vamp. Silver-tone hardwear. Pair this shoe with sharp and tapered trousers with cropped length. 1 x Buckle Derby Shoe was added to your shopping bag. 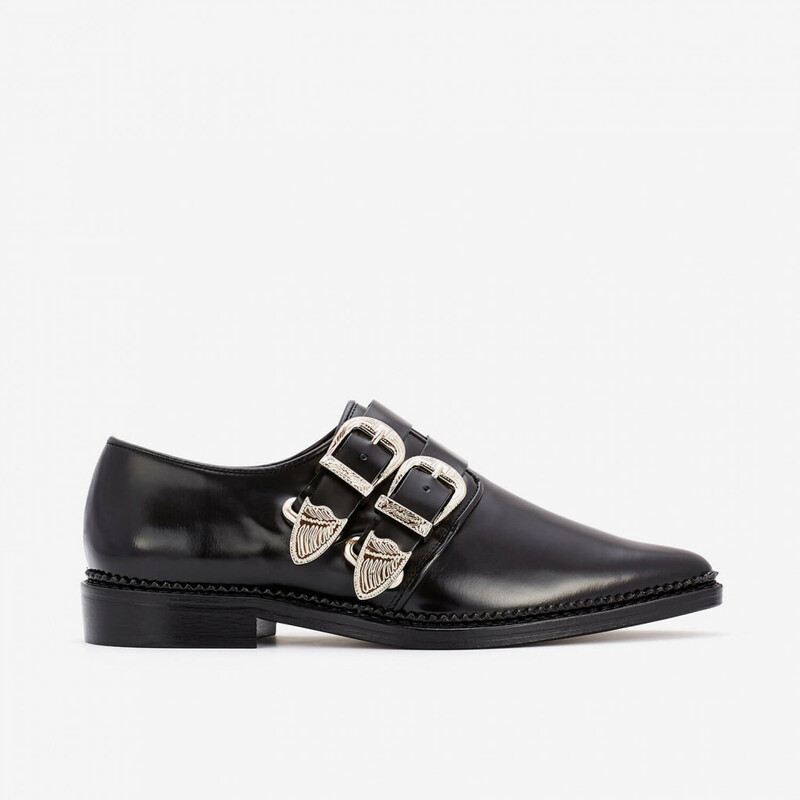 1 x Buckle Derby Shoe was added to your wishlist.